Our Paul Green Theatre is a pretty special place. A large stage extends from the back wall of the theatre out into the audience, inviting theatregoers to join the action from three sides. It demands ballet-like spatial reasoning from directors and relieves the pressure for actors to be constantly aware of how much of their body is facing the audience—what you might sometimes hear referred to as cheating out. Because only eight rows of seats means the audiences is never far from the action and they always have a good view of something. 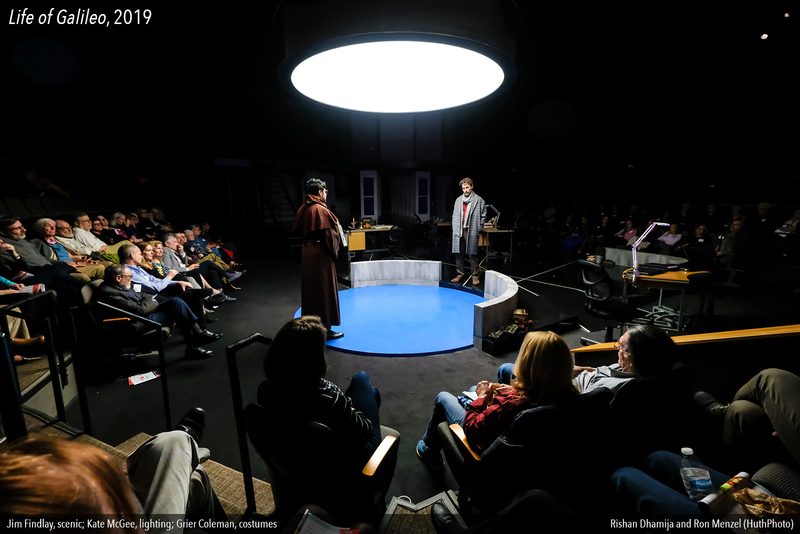 And even with its 500 seats—making PlayMakers the largest LORT theatre between Atlanta and D.C.—the space feels surprisingly intimate. Thinking about the Paul Green Theatre as a descendent of the beautifully-inclusive and communal awareness-raising circles of the early feminist movement gives L’il Bit a reason to tell finally tell her story. At last, she can unearth the “complicated, formative, intimate, and charged relationship” that she had with her uncle when she was a teenager. 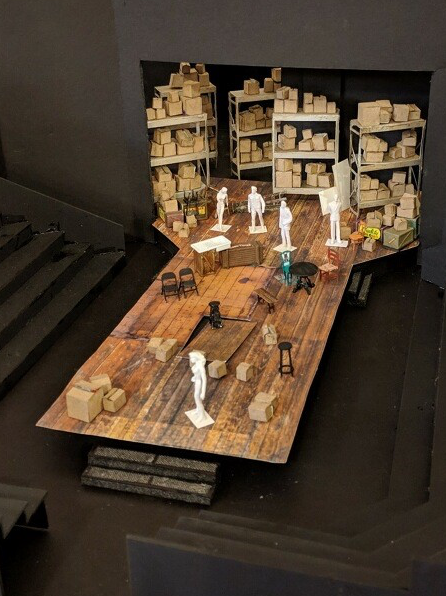 “The idea of setting it in a warehouse meant that we were putting it in a space that was both theatrical and semi-realistic,” said scenic designer Jan Chambers. “It has the feel of a lot of history. And all these boxes on shelves could be your boxes on your shelves.” This production becomes more than a memory play—it’s a story about confronting the past to reclaim the narrative. As opposed to thinking about the world of props and costumes in a theatrical way, our production of How I Learned to Drive will feel more like an archeological dig. “There are objects that come with personal meaning that aren’t just about the artifice of theatre, but are a little bit more akin to an installation of someone’s life and someone’s history,” said Lee. Everybody has a history. And everybody has packed away at least some of that history. Unpacking it can run the gamut of human experience from sweet, sweet nostalgia to the pain of post- traumatic stress. But whatever the consequences, L’il Bit and her crew are here to share her story with you. Help Julia Gibson’s Li’l Bit unpack her history and reclaim her narrative in How I Learned to Drive by Paula Vogel. Get your tickets today.